To the list of ways the 2012 presidential campaign is not 2008, add one more: Ron Paul is not winning the YouTube primary. 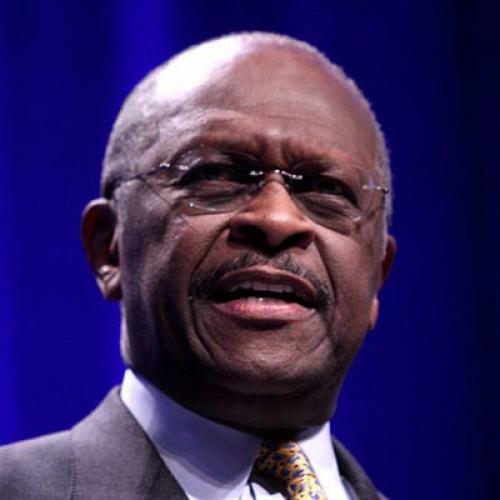 This season’s current front-runner is Tim Pawlenty—and the momentum belongs to Herman Cain. As of noon last Friday, Pawlenty had amassed nearly 736,000 views on the YouTube videos he’s posted since November 2010, the most of any declared Republican presidential candidate. (Some, like Newt Gingrich, have a higher overall view-count, but they’ve been posting on YouTube for much longer; for current relevance, I’m only looking at postings made after the 2010 midterm elections.) Cain comes in second with nearly 576,000 views. Mitt Romney and Newt Gingrich take the next two slots with almost 230,000 and about 225,000 views respectively. Needless to say, if presidential candidates were network TV shows, they would all be immediately canceled. Even more intriguing than aggregate views, however, is the average number of views each candidate receives for each uploaded video. Under this standard, Cain dominates with, on average, over 23,000 views. Romney takes second place with about 14,000 average views, while Ron Paul and Tim Pawlenty fill out the top tier with 12,000 and 10,000 average views respectively (Paul’s numbers are a bit misleading because he only has one uploaded video—more on Paul in a minute). Cain’s high average isn’t just due to one-off viral videos; he appears to have built an extremely loyal audience. Fifty-six percent of Cain’s videos since November have over 10,000 views apiece. Only 10 percent of Pawlenty’s videos meet that threshold. Cain’s three most popular videos have a combined five YouTube likes for every dislike. Pawlenty’s ratio is almost exactly one for one. Of course, at this early stage of the campaign, a high like ratio may not necessarily be a good thing, possibly indicating that many of the people who see Cain’s videos are already supporters. But, if nothing else, it illustrates an engaged and approving audience. Pawlenty and Cain owe some of their YouTube success to professional production values, a trend NPR dubbed the “Hollywoodificiation of Presidential Politics.” Stephen Colbert has mocked Pawlenty’s gradiose, cinematic videos, but they obviously attract an audience for Pawlenty’s message. And although The Herman Cain Train Music Video might not win any Video Music Awards, it does have undeniably endearing kitsch value. Cain has charisma, and he looks like he’s having fun. Of course, Pawlenty and Cain’s videos also resonate because of their limited-government message, an Internet theme most associated in the previous election with presidential candidate Ron Paul. His 2008 campaign channel, RonPaul2008dotcom, was wildly successful, listed on YouTube as the second-most subscribed politician channel of all time. The channel’s top five videos have at least a half-million views each. Yet for his 2012 bid, Paul’s official campaign YouTube channel contains only one video, which only has about 12,000 views. The RonPaul2008dotcom channel is still operational, but states that it’s “not endorsed, approved, or funded by Congressman Ron Paul.” As of the writing of this piece, Paul’s campaign had not clarified for me the campaign’s official connection to the RonPaul2008dotcom site. The group is quite active, however, posting several videos per day to the account, all of which draw thousands of views. It seems that this time Paul has entrusted his YouTube success to supporters outside his official campaign. Paul’s case illustrates two important points about YouTube success. First, candidates might be able to officially sidestep the YouTube primary if they can rely on passionate, grassroots supporters to spread their message for them. Second, YouTube views do not equal votes. Paul won YouTube’s popularity contest in 2008 without winning a single primary contest. Passionate supporters could have viewed Paul’s videos hundreds of times, but they only got to vote once. And not every viewer who heard Paul’s message necessarily agreed with it. Still, YouTube views can help measure the power of political ideas. The success of Paul’s message on YouTube before the 2008 election was, in hindsight, predictive of the Tea Party’s rise in 2009. Furthermore, any Republican tempted to write off the YouTube primary as a distraction would do well to remember the YouTube popularity of another 2008 candidate: President Barack Obama.